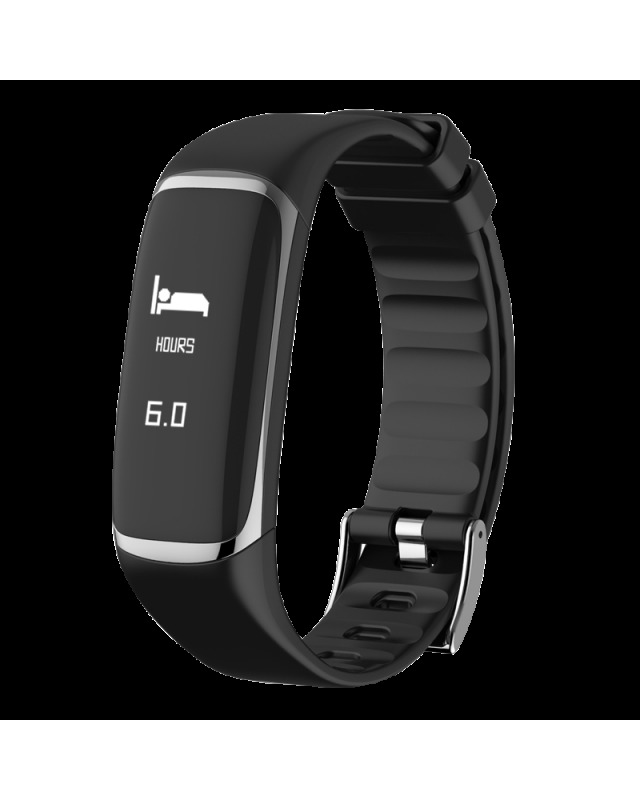 The activity band that calculates your oxygen levels and prevents sleep apnea ! A next-generation activity band, Goo sleep is the first connected band who prevents sleep apnea. 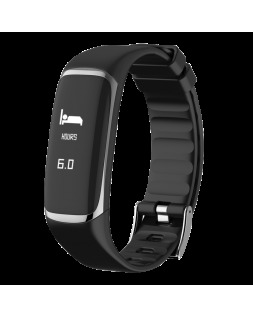 In addition to standard band functions (number of steps, calories, sleep quality, heartbeat and similar), this activity band allows you to track oxygen levels and HRV, and alerts you when critical levels have been reached or exceeded. feeling tired upon waking and can cause drowsiness and headaches during the day. The Goo Sleep Care smart sleep tracker measures heart rate variability while you sleep along with your blood oxygen levels. It also tells you about your sleep patterns. This sleep tracker has a notification and alert system that warns you at the slightest indication that your heartbeat or oxygen levels are excessively high or abnormal. This allows you to assess the quality of your sleep at night, and to consult a doctor if you suspect you are suffering from sleep apnea. The sleep tracker activity band pairs with the Goo Sleep Care app, available on Android iPhones and smartphones. The app syncs to your health tracker in real time and allows you to analyse in detail the data captured. On the technical side, Goo's smart sleep tracker is water resistant and equipped with Bluetooth 4.0 technology. Lightweight (25 grammes) and comfortable, this stylish tracker also features a touchscreen. Data collected by the tracker and the app is stored on your phone. A special function included in the Goo Sleep Care app means you can delete recorded data as you like. There is also an exercise mode for leisure or performance-oriented use, tracking number of steps, distance travelled and calories burned. You can also note your heart rate during exercise. Analyse the data captured by you tracker by downloading the GOO Sleep app free of charge then sync your tracker to it using your smartphone, and enjoy its many functions. 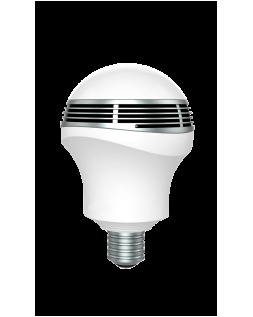 Produit innovant et performant du sommeil. Ce bracelet est très utile, facile d'utilisation car il est accompagné d'un software sécurisé qui analyse les données de mon sommeil. C' est un bracelet sante qui rassure notre famille sur les risques de l’apnée. Je recommande.